A calming, meditative tray table, suitable for eating, computing, crafting or anything you can imagine. 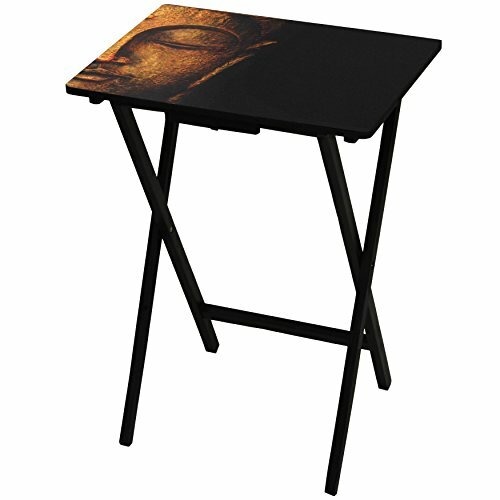 This table features a high quality print of a Buddha statue, it could also be used as a simple Altar stand. The table can be folded up for storage or used as a stationary table.